ProbeFix Dynamic - Usono B.V.
ProbeFix Dynamic is a new device that supports high-quality ultrasound measurements during dynamic exercise. 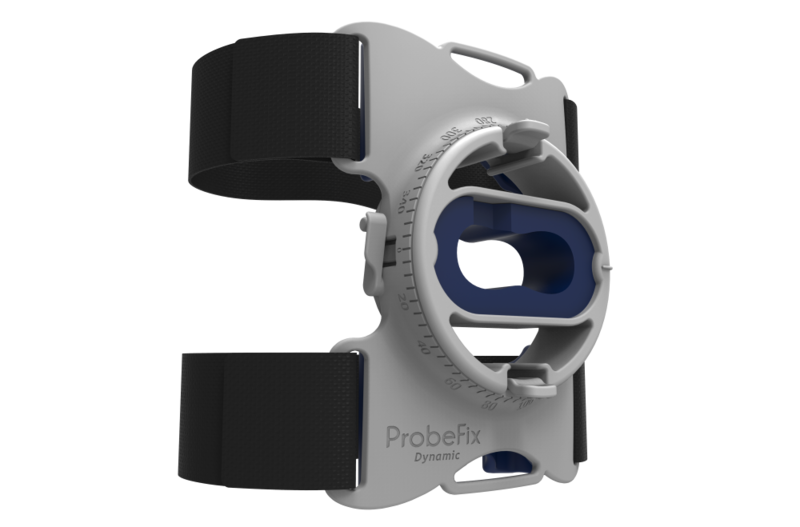 The ProbeFix Dynamic keeps an ultrasound probe in place throughout intense movement. This can be used in sports training, muscle recovery exercises, during general rehabilitation practices or even in intensive care departments. 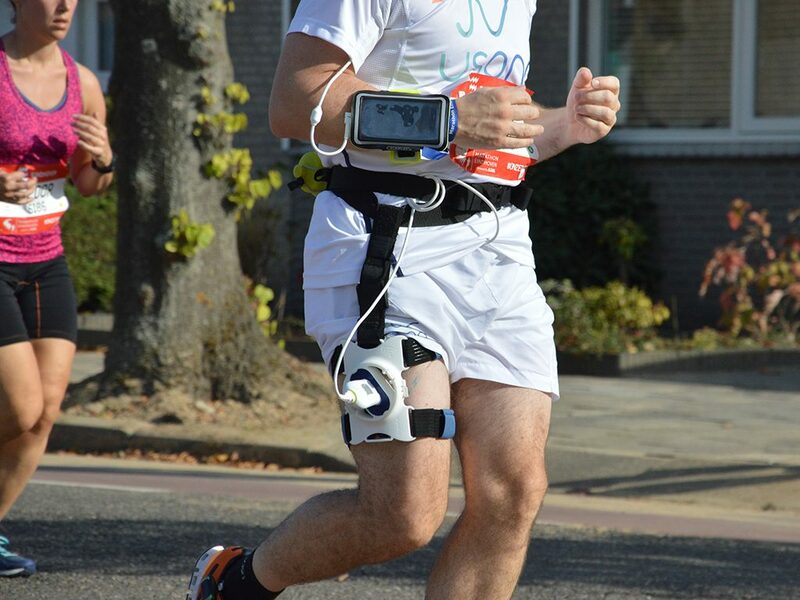 The seamless combination of ProbeFix Dynamic and portable ultrasound systems has made it possible to monitor muscles dynamically while running or cycling. This creates new research possibilities within the area of muscle imaging. 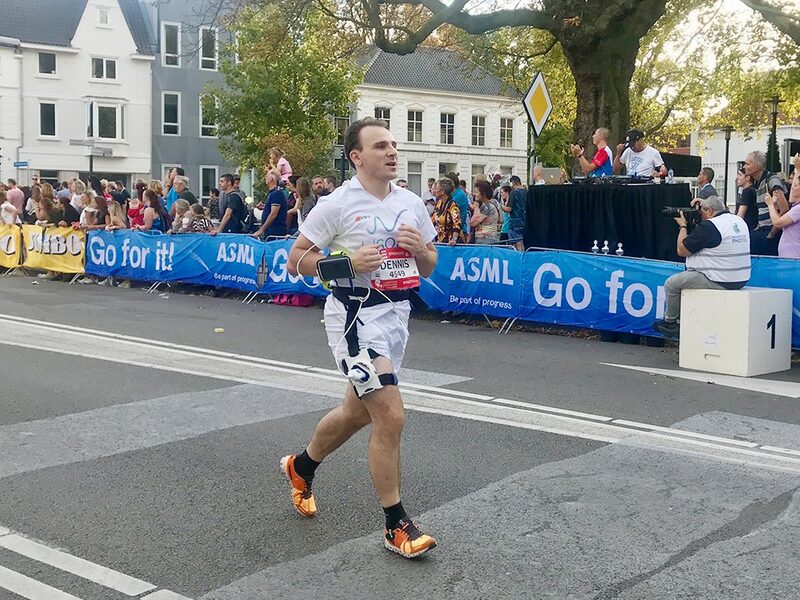 On the 14th of October, 2018 ProbeFix Dynamic was successfully used during the half marathon in Eindhoven. 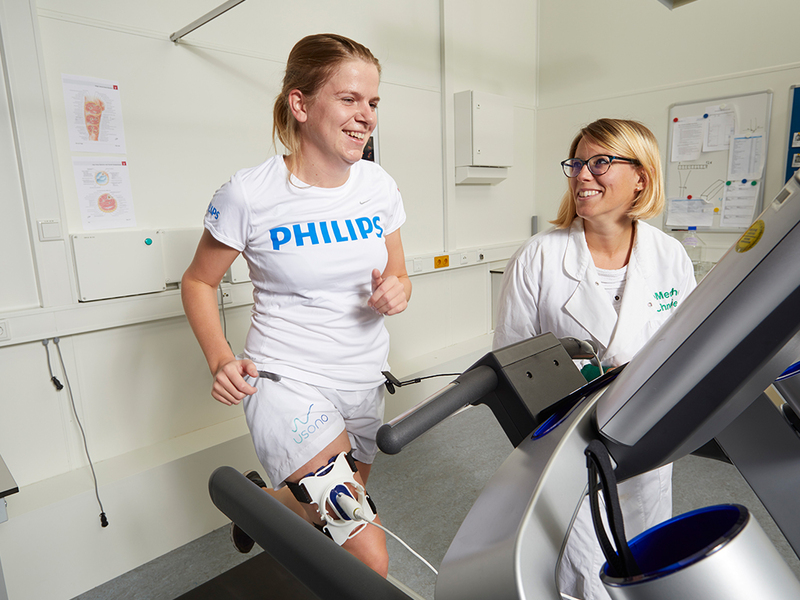 To conduct a study in collaboration with Philips and TU Eindhoven, four participants ran without any trouble ‘wearing’ a Philips Lumify attached to a ProbeFix Dynamic which allowed recording images during intense and prolonged exercise. 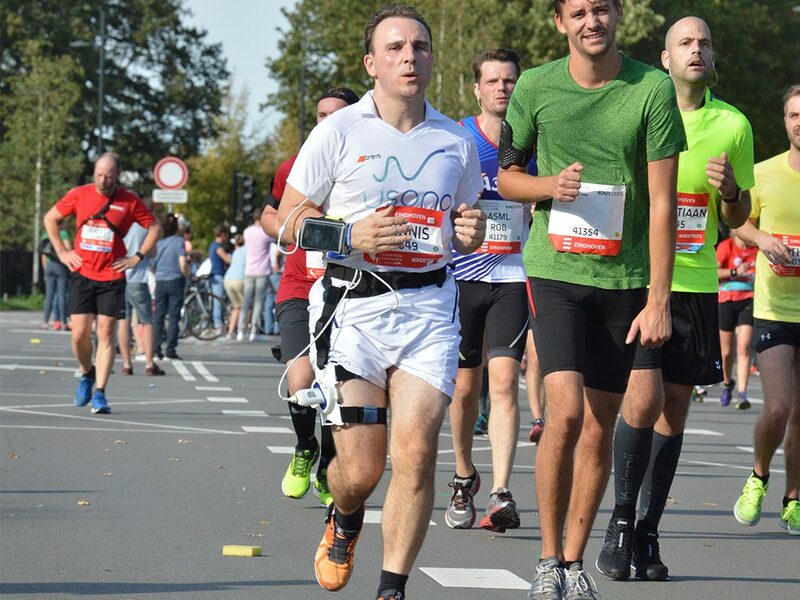 This bold experiment shows the potential that ProbeFix Dynamic brings to the study of muscle behaviour in motion. This allows you to monitor muscles and injuries properly, in motion, under stress. Fantastic. 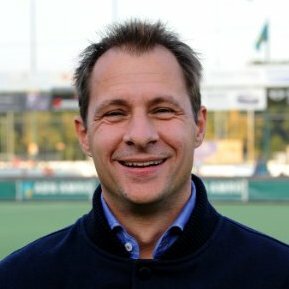 Now it is possible to determine when an athlete can go to the max. We train about eight times a week and it is very nice if you can see what you are doing, what the muscles do under stress. This can lead to better insights. 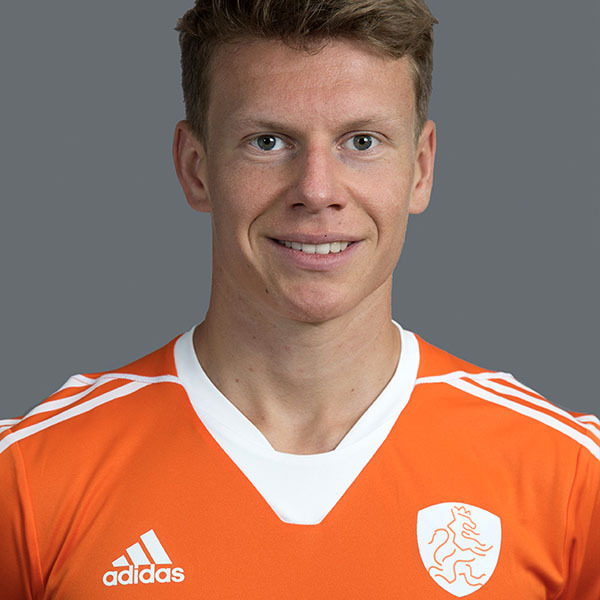 I was injured for some time and we could hardly determine the injury. With ProbeFix Dynamic we could have known what was going on. I definitely see the future of this.